First of all, we realize that we don’t have a monopoly on truth and we're all "a work in progress." But, as a church, we seek to proclaim and practice the truth of God’s Word faithfully. We know that some of you may not be sure what you believe about these things, while for others, you’re pretty sure you do know what you believe. Either way, you probably clicked here to make sure there wasn’t anything too weird before you check us out in person or before you went any further on our site. Even though, we're a small church right now, we still want to be available to try and answer any questions you may have by e-mail, phone, or in person. We believe in one God, eternally existent as God the Father, God the Son, and God the Holy Spirit. 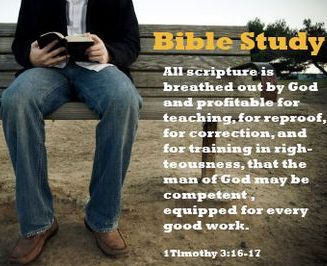 We believe that the Bible, composed of the Old and New Testaments, is God's inspired and infallible Word, and is the supreme standard and final authority for all conduct, faith, and doctrine. We believe in the deity of the Lord Jesus Christ, in his virgin birth, in his sinless life, in his miracles, in his vicarious and atoning death, in his bodily resurrection, in his ascension to the right hand of the Father, and in his pre-millennial, personal return in power and glory. We believe that the only salvation from this guilt and condemnation is by GRACE and through faith in the righteousness and atonement/redemption of the Lord Jesus Christ, and that this salvation is the free gift of God's love and grace. We believe in the personality of the Holy Spirit and that his ministry is to reveal Christ to men, to convict of sin, to regenerate repentant sinners and, by his presence and power, to enable and empower those who are redeemed to glorify God and live out His purpose for their lives. We believe that the Lord Jesus Christ instituted the ordinances of baptism and communion (Lord’s Supper); that baptism is only to be administered upon profession of faith in Christ, by immersion, thereby declaring our faith in a crucified, buried, and risen Savior; that communion is only for believers, is to be preceded by faithful self-examination, and is in remembrance of the Lord's death until He comes. We believe that a New Testament church is a body of believers, baptized by immersion, associated for worship, service, and the spread of the good news of salvation by the GRACE of God to all the world. We believe that there will be a resurrection of the just and the unjust; the just, having been redeemed by the shed blood of the Lord Jesus Christ, to be with him throughout eternity in glory; the unjust, having died impenitent and unreconciled to God, to eternal condemnation in hell.